Choose the items you'd like to order and scroll to the bottom of this page to complete your order. You may also print and mail this PDF. To order items in bulk, contact us at support@lcrf.org or (608) 833-7905. 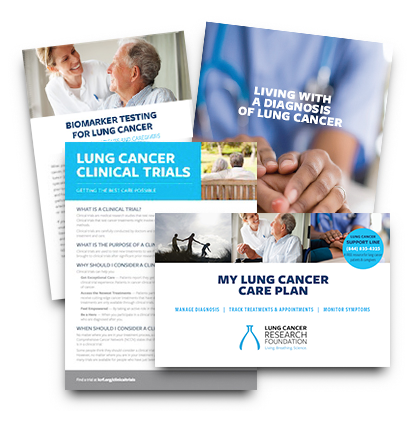 Free patient resources provided with support from AstraZeneca, Bristol-Myers Squibb, Eli Lilly and Company, Genentech, and Novartis. These items can also be ordered individually below. 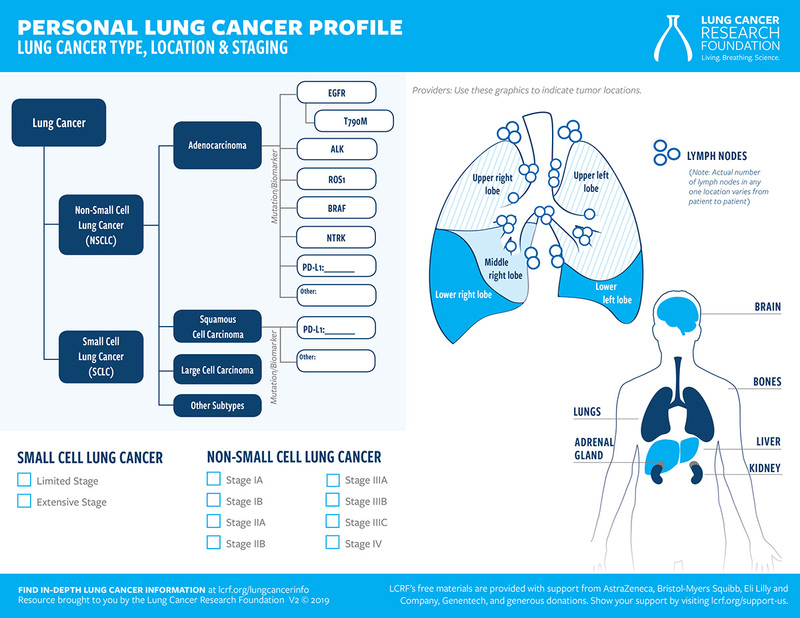 Who will treat my lung cancer? How can I manage symptoms and side effects? What should I know about research and clinical trials? How can I deal with my diagnosis? 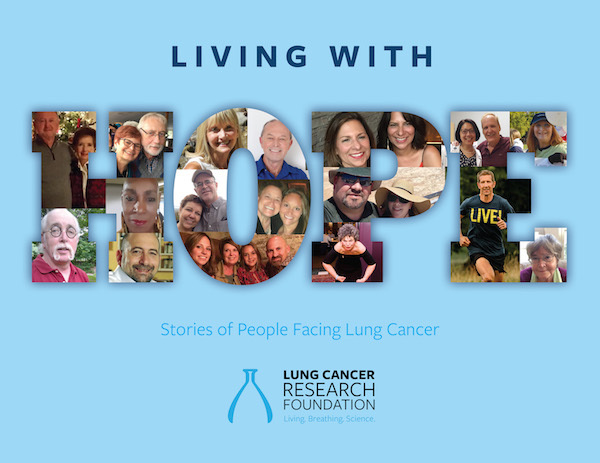 This book provides patients with stories of hope shared by patients, caregivers, and survivors. 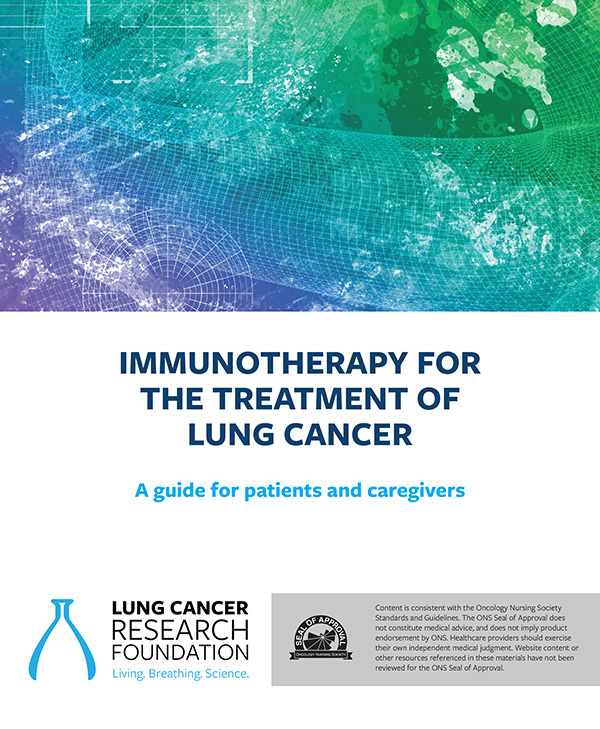 This booklet is an introduction to immunotherapy, a treatment option available to some patients with lung cancer. Covers how immunotherapy works and typical side effects. Has earned the ONS Seal of Approval. 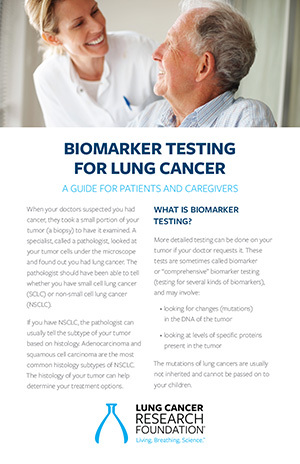 This brochure explains the process and importance of tumor testing to help patients determine whether they may be eligible for targeted therapies. 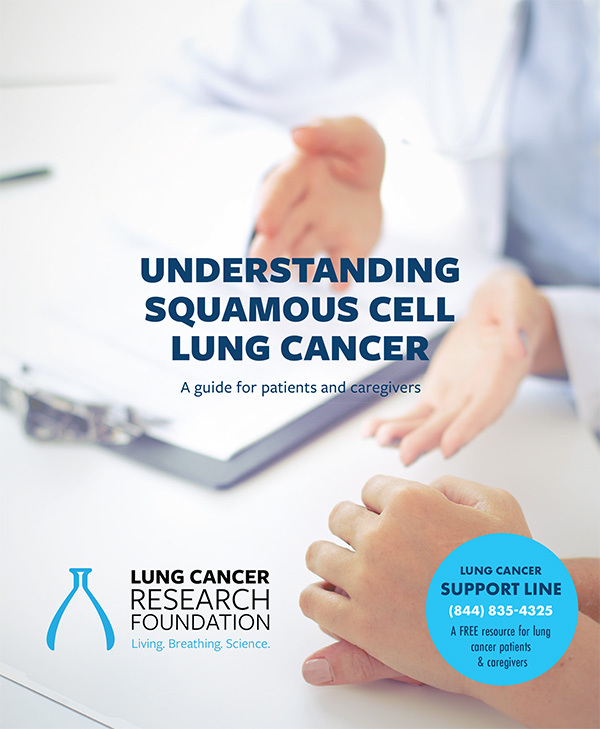 This booklet explains squamous cell carcinoma – a specific type of lung cancer – and how it can be treated. 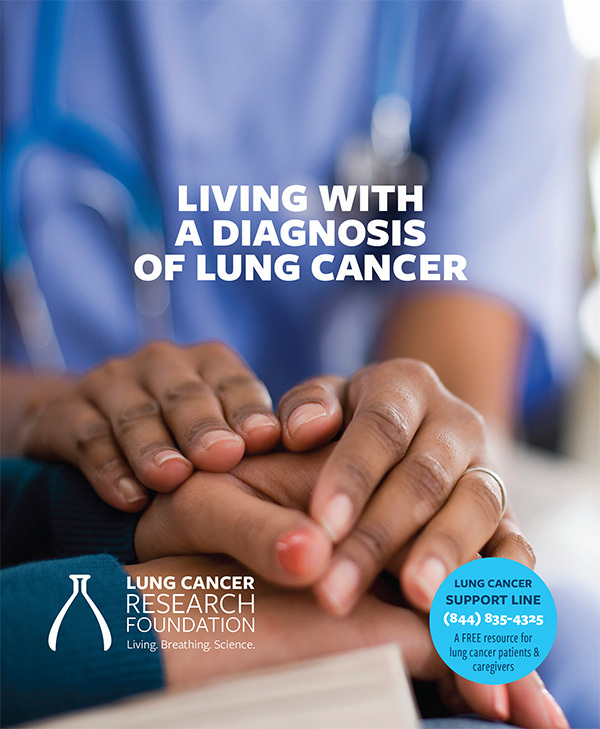 This booklet provides caregivers of lung cancer patients an overview of what to expect as a caregiver as well as helpful tips and resources. A resource for recording information on diagnosis, tracking treatment and appointments, monitoring symptoms and more. Bring the Personalized Care Plan to visits with your medical team to guide conversation and help you understand every part of your care. 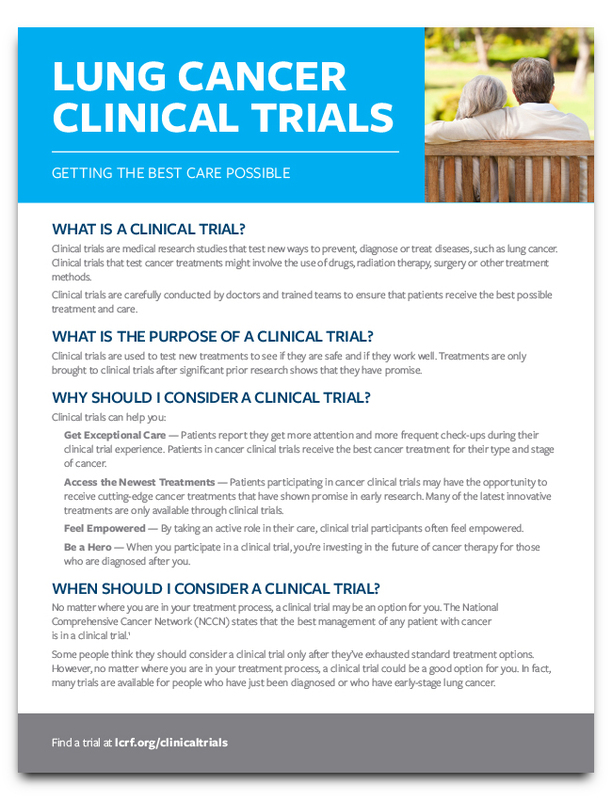 This flyer describes how patients can benefit from participating in a clinical trial, and how to find a trial that’s right for them. This tear-off pad is for physicians to use as a tool when speaking to patients about their diagnosis and recommended treatment plan. Each pad contains 50 sheets. 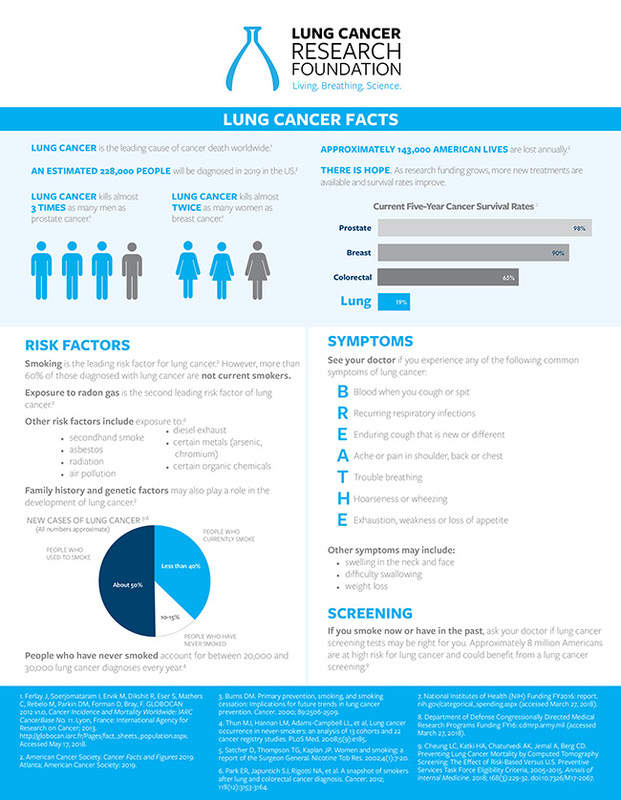 HEALTH FAIRS: Are you planning to participate in a health fair as a lung cancer research advocate? Please fill out our Health Fair Kit Reservation Form. 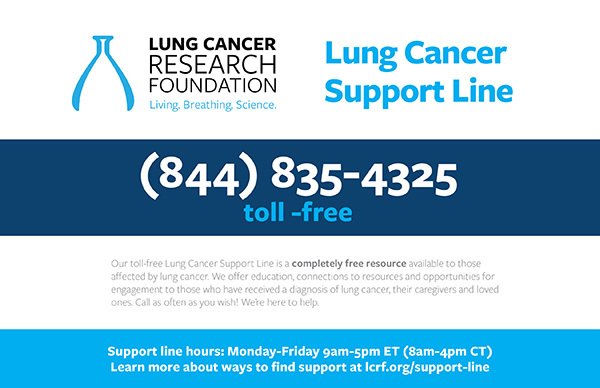 Includes information about the Lung Cancer Support Line for patients with lung cancer and their caregivers. 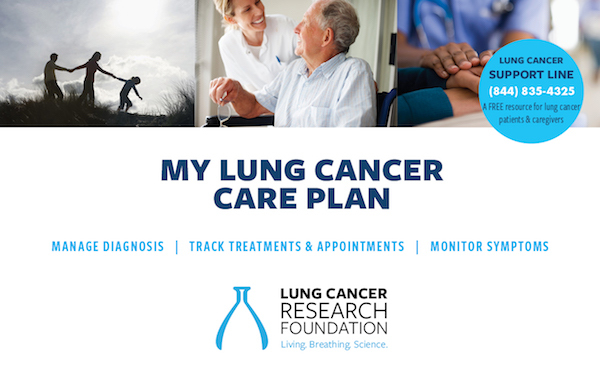 Includes basic info on lung cancer, what you can do to reduce your risk, help raise awareness, and fund research. 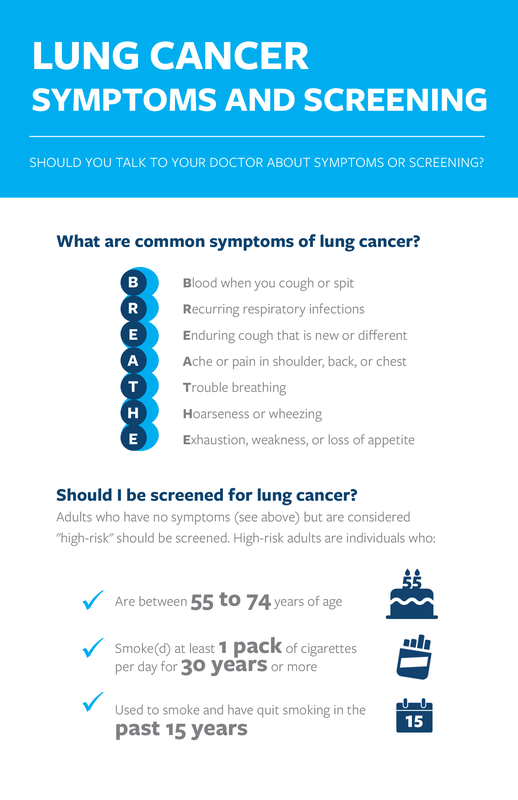 Identifies common symptoms of lung cancer and screening recommendations. Please tell us a little about your reason for ordering materials. * Question - Required - How did you find out about the LCRF free materials? 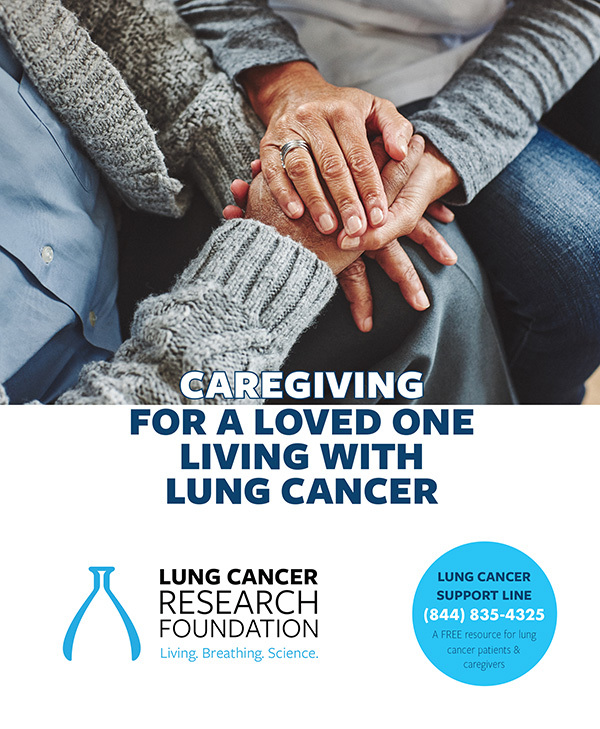 If you submit this form and are not already on our mailing list, you will receive periodic updates and email communications from the Lung Cancer Research Foundation. You may opt out of these communications at any time.